If you’re looking to amp up the ambiance or add depth to your décor, the writing is on the…well, you know. Wall lights might be just the thing missing from your home’s lighting scheme. Running the gamut from function to flair, wall lights come in a wide array of styles and serve many purposes. Wall lighting can provide necessary illumination for safety, accent architectural features and artwork, add task lighting or serve as décor all on their own. Here, we answer some of the most frequently wondered whats, wheres and whys of wall lighting. Wall lights bridge form and function by providing ambient illumination and serving as a decorative element. 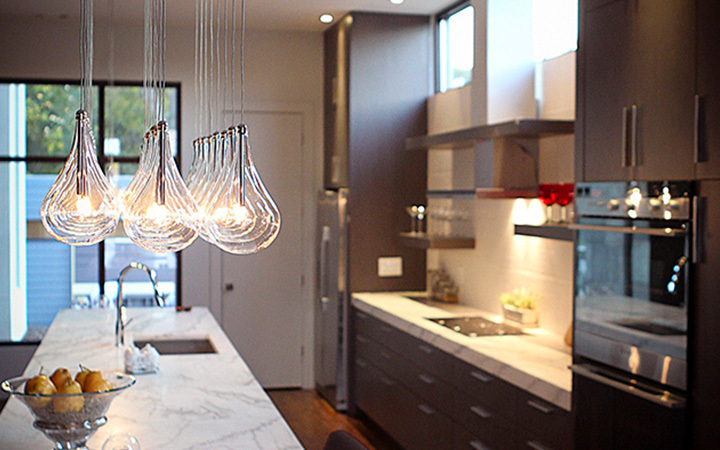 Shown: Icicle LED Wand Sconce by Boyd Lighting. Why do I need wall lights? When “wall light” is mentioned, the first notion that pops into many people’s heads is of an ornamental sconce that provides little useful illumination beyond an accent light. While this application is certainly important as a decorative feature, wall lights also serve myriad functions for reading, proper task lighting and general safety. And wall lights are important components of properly layered lighting, which adds both beauty and utility to overall design schemes. Wall lights are a great option for bedside lighting to free up nightstand space. Shown: Tam Tam A Wall Sconce by Marset. Where should I use wall lighting? 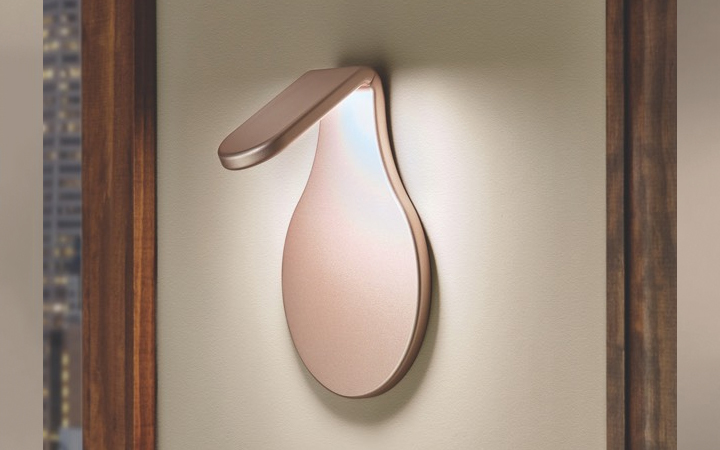 Wall lights have applications in any room, indoors and out. Working alongside ceiling lights, a wall-mounted fixture provides supplemental illumination, while using wall lights in place of overhead lighting creates a more atmospheric effect and can alleviate glare. 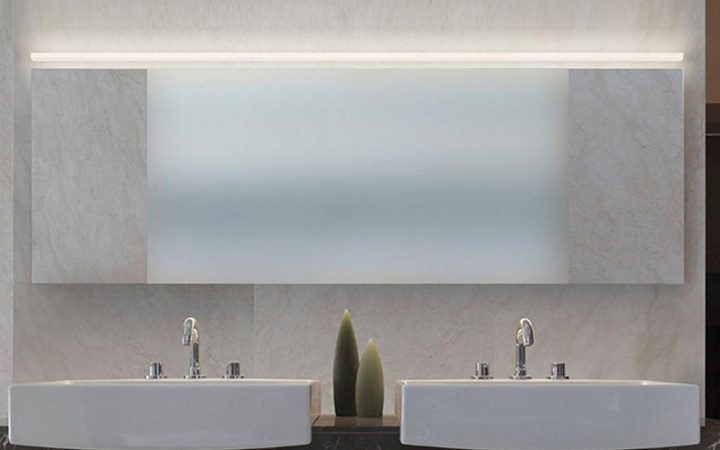 In bathrooms, vanity lights are a key part of light layering: Flank a mirror with wall fixtures to banish shadows from your face that overhead lights tend to cast. 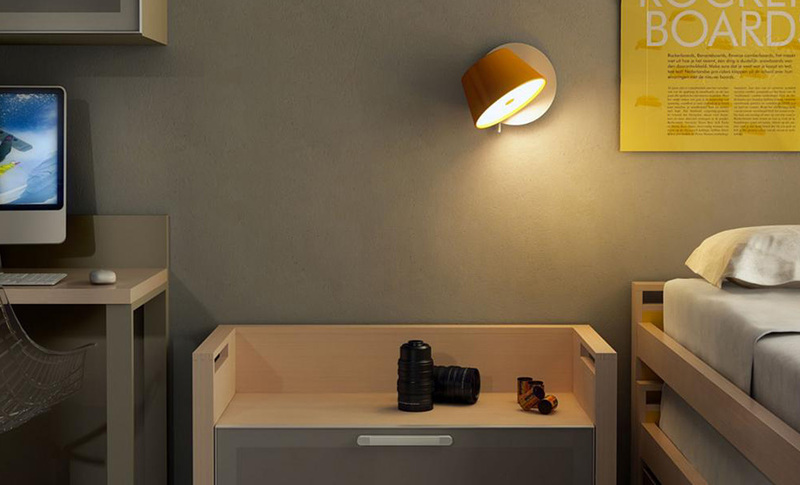 In an office or craft room, a wall-mounted swing arm light is a practical alternative to a traditional desk lamp, freeing up your horizontal surfaces for your tasks. Artwork can be better displayed beneath a picture light, while niches, sculptures and other architectural details benefit from wall-mounted spots. Outdoor wall lights are commonly used on the porch and along exterior walls for security, though many designs provide a decorative touch as well as safety features. 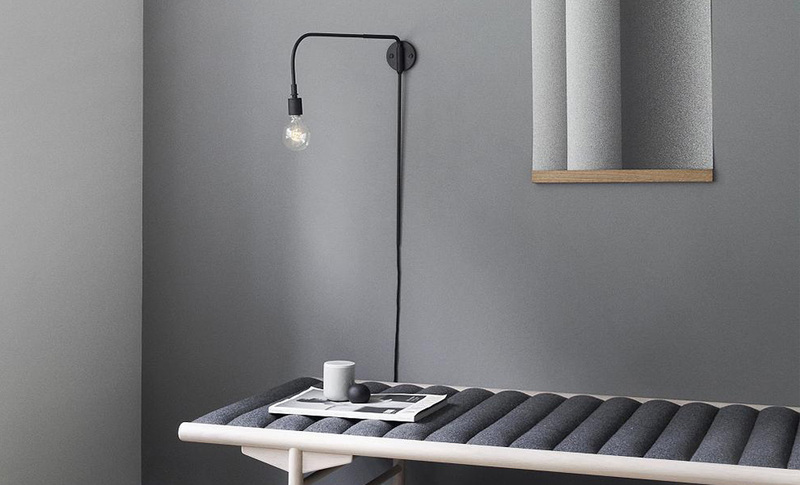 The office is also ideal for adjustable wall lights that can focus light where you need it without taking up desktop space. 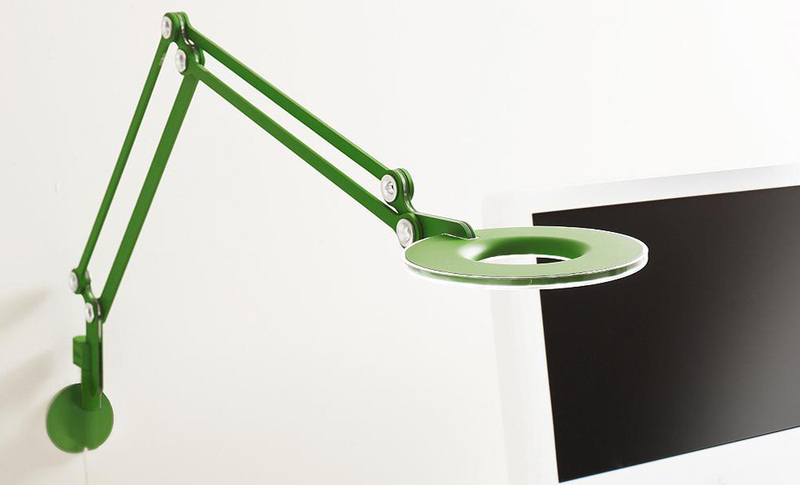 Shown: Link Wall Mount Task Lamp by Pablo Designs. In rooms where overhead lighting and floor/table lamps will do much of the lighting work, wall lights are still a valuable addition to add ambiance and to brighten corners that may become shadowy after sunset. Try flanking large windows with wall sconces to emulate the effect of daylight coming in, adding a wall light near a particularly dark corner or next to a doorway to light your way into the room. And keeping all your lights on separate switches allows for better control of your lightscape: Wall lights are particularly suited to dimmer switches that allow you to determine the mood of the room. How many wall lights do I need? To get the most out of your wall lights, placement is key. A good starting guideline is to hang them at approximately eye level (5.5 to 6 feet), although the height of your ceilings and the size of the fixture will come into play. An important point to keep in mind is that whatever height you hang your wall light, you should not come eye-to-eye with an exposed light bulb (except, of course, in the case of stylized fixtures that purposely feature decorative bare bulbs). How many wall lights you need and where to place them can depend on the decorative look you’re going for. 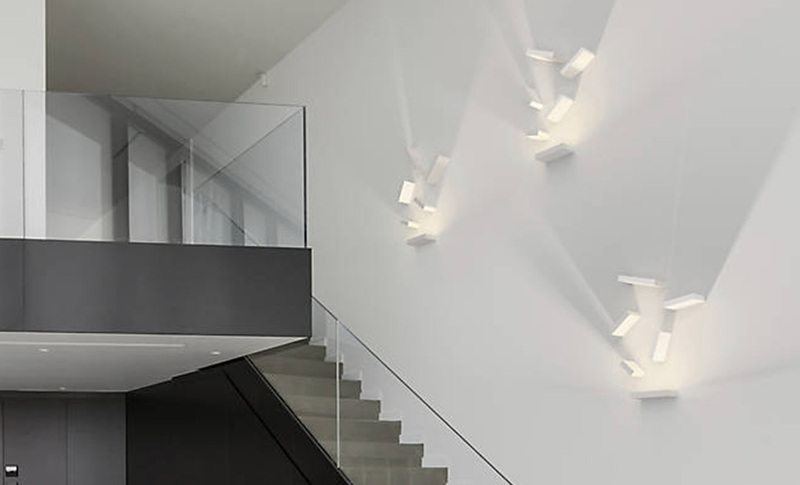 Shown here: Set LED Wall Art by Vibia. Wall lights are commonly used in hallways, but the long, dark corridor can quickly start to resemble a runway if too many lights are installed. One fixture every 8 to 10 feet should be adequate, though you may want slightly more or less space depending on the lumen output and size of the room and fixtures. Staggering the lights so that they don’t line up across the hallway is a more natural configuration. Of course, fewer or more fixtures can be arranged for a decorative statement. Also consider how far your fixture protrudes from the wall: Narrower halls, stairwells and rooms with heavy traffic near walls are best served by fixtures that keep a low profile. ADA compliant fixtures are a great option because they’re no more than 4” deep─and often much slimmer thanks to LEDs─providing maximum clearance. What types of wall lights are there? 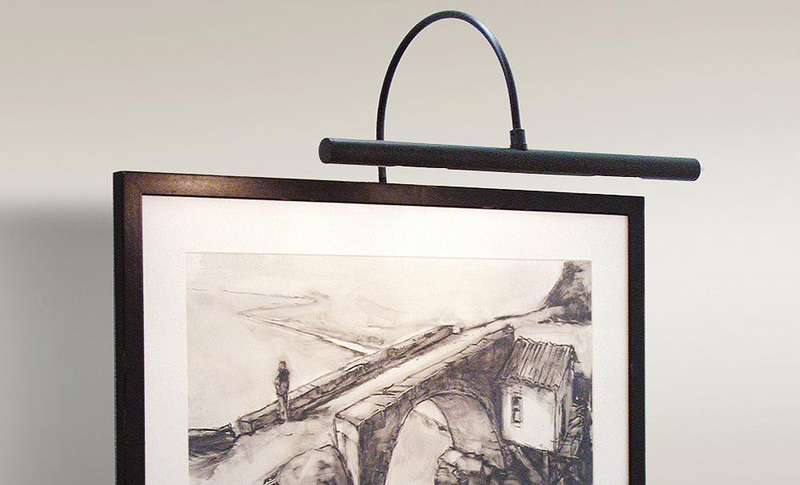 Wall lights can be used to highlight and accent architectural elements or artwork. Shown: Profile Picture Light by House Of Troy. Keep in mind: Some wall sconces are both uplights and downlights, so you get the best of both features. Many designs come with built-in switches for individual control, while those with pin-up kits can be plugged into any available outlet, bypassing the need to hardwire. And while few wall sconces are bright enough to provide overall ambient light in a room alone, installing multiples around the room or as a focal point can be a beautiful and dramatic solution. What if I don't have a wall box where I want a wall light? Whether you’re a renter or just don’t want to enlist the work of a master electrician, you’re not out of luck for hanging wall lights in your home. Plug-in wall sconces are wall lights that plug into a standard outlet, and come with a pin-up kit that hangs the fixture anywhere you’d like (no wall box required). They’re ideal on both sides of a bed, in a reading nook or in a home office, and serve the same decorative-meets-functional purpose as their more installation-involved comrades. Plug-in wall sconces offer a permanent look with an easy installation. 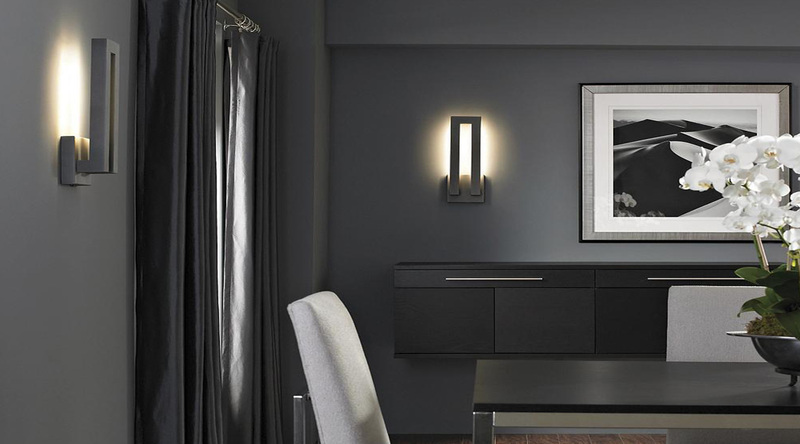 Shown: Tribeca Warren Wall Sconce by Menu. How do I coordinate wall lights with the rest of my room design? You can easily integrate wall lights into your décor by first determining what you’ll use the light for. For instance, installing a reading light depends on where your sofa or favorite chair is placed in the room. And while a soft wash of light is pretty on an accent wall, a downlight is far more practical over stairs. Secondly, is your need focused more on decoration or utility? While there are thousands of choices that marry form and function, you can narrow down your selection by deciding whether your wall light should unobtrusively blend into its space or become a focal point. Neutral metals with white or ivory glass are classic choices, but there is a huge variety of wall lights that range from ultra-modern to vintage in just about every color, finish and shape. There is no rule that dictates whether your sconces must match your chandelier—don’t be afraid to mix it up with different colors and styles. What if I don't have a junction box where I want a wall light?